Delicious and refreshing, our blueberry mojito is the perfect summer drink. Although we don’t always serve alcohol when we entertain, sometimes we do crave an adult beverage. At the peak of summer, during berry season, there is little more refreshing than this ice-cold blend of macerated fruit, mint and rum. This drink is perfect served with freshly grilled seafood or alongside a sizzling platter of fajitas. In a cocktail shaker, lightly muddle 1/2 cup blueberries with the sugar, lime wedges, mint and a splash of club soda. Add the ice and rum and shake. 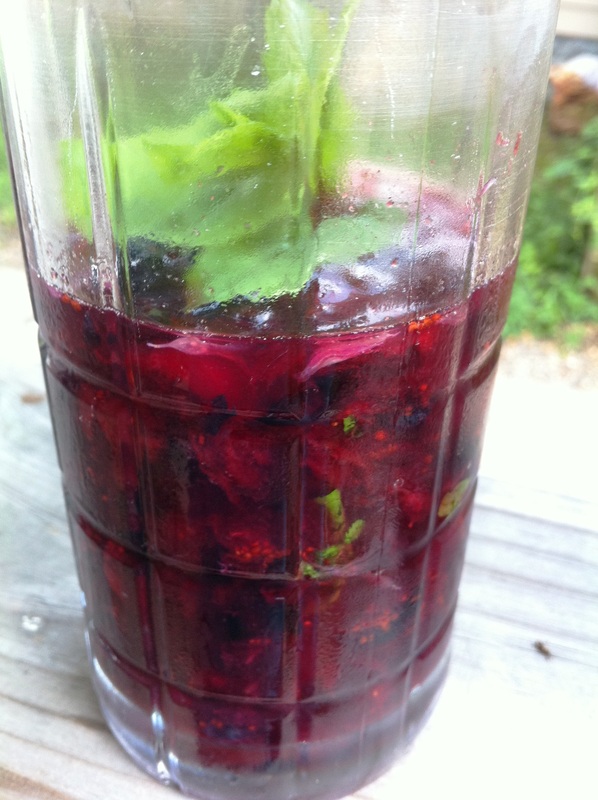 Spoon the remaining 2 tablespoons of blueberries into a tall glass and pour in the mojito. Top with a small splash of club soda and garnish with extra mint leaves if desired.